Every day that I wake up, I thank God for just another great yesterday. A yesterday filled with stress and hard work, pressures and silences, bitching and grumbling. I thank him passionately for all my strifes, because in return he gives me food enough to share, money enough to indulge. My flat watchman earns less than the money I spent filling petrol in my car! The old "Afsal" at 75 still carries flasks full of tea all around our locality so that somebody would buy his Rs.2/- tea and he can survive. My office boy gets thrilled when I partly sponsor him a fifth hand Bajaj Chetak scooter! And all around, in the streets, behind the hidden floodlights, live people fighting and striving just like me, but for a completely different goal. 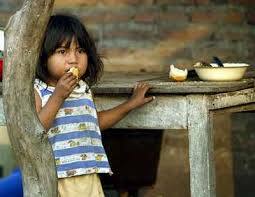 They fight this life so that they and their children and their parents do not go hungry. The cost of my cycle feeds two families for two months! Thank you My MASTER, for all the blessings you have showered on me. I hope you instill humility and love for the fellow human being in me.